London welcome Limerick to McGovern Park next weekend looking to register a second victory in a single league campaign for the first time since 2011. 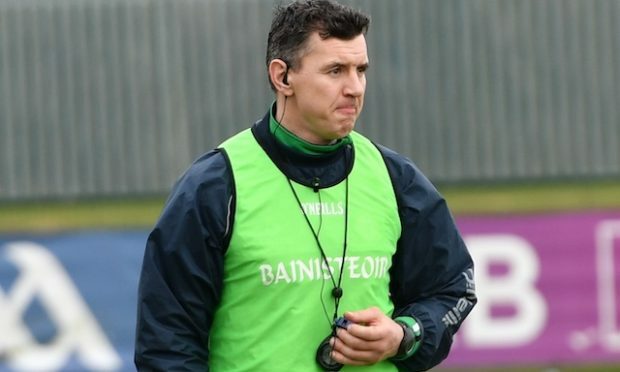 For the past six years the Exiles have had to settle for just a solitary win, a return not aided by Kilkenny’s exit into Britain’s Junior Championship, but Ciaran Deely’s side will be confident of ending that sequence after this performance. Deely called it a ‘mature’ display from his Exiles team, and it wasn’t hard to see why. 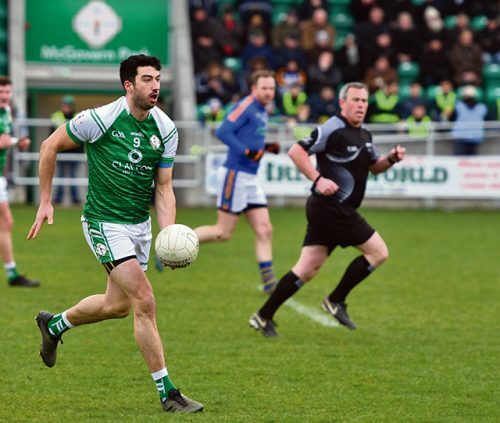 Building on the positives of their six-point defeat at the hands of Carlow, London were composed and clinical in equal measure against John Evans’s men, who arrived at Ruislip on the back of having drawn with Waterford. But they were made to look toothless at times by a London team which worked tirelessly to shut down Wicklow’s attack, while carrying more than enough of an attacking threat of their own. It’s been a very positive start to the league for Deely’s side, who impressed against the Barrowsiders, despite not getting the result, and they’ll approach Limerick with confidence sky high after this. 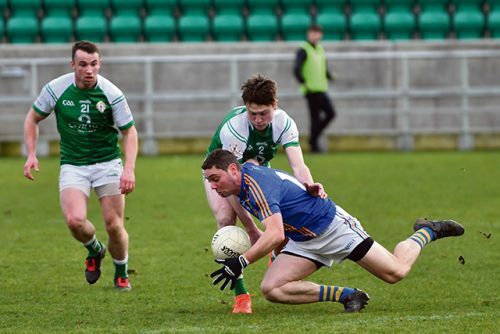 London were dealt a blow in the week leading up to Wicklow’s visit with the loss of corner forward Killian Butler with a pulled a hamstring, but they had a more than able replacement in former Monaghan U21 star Fearghal McMahon, who bagged 0-3 on his Exiles debut. But he was just one of many stand-out performers for the Exiles, with Marcus Mangan, Ryan Elliott, James Moran, Adrian Moyles and captain Liam Gavaghan also impressing in attack, while Phillip Butler kept Seanie Furlong on a very tight leash, limiting the Wicklow dangerman to four points all from frees. Elliott, growing in confidence with every London start, opened the scoring with London having first use of a strong wind blowing towards the clubhouse end. But by the 14-minute mark, the home side only led by 0-4 to 0-2 however. But they began to pull away thereafter with Gavaghan pointing twice in quick succession – the latter after Moyles had pinched Pat Burke’s pocket. In midfield, Moran was gobbling up everything in the air with Wicklow inexplicably kicking the ball repeatedly down his throat. Eight minutes before half-time the home side struck for the game’s only goal. Gavaghan linked up well with Tom Waters and Elliott before rounding Mark Jackson in the Wicklow goal and squeezing his shot just inside the post. It was a fine finish from London’s skipper to match his goal in the defeat to Carlow. Wicklow manager John Evans had seen enough. He immediately threw David Boothman and Theo Smyth into the fray with a view to limiting the damage, but it was too late. 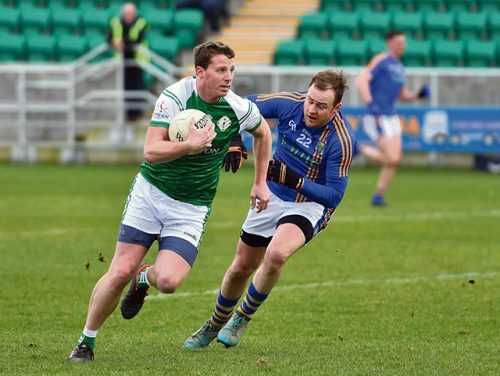 The Exiles’ half-time lead stood at 1-10 to 0-5 and despite the strong wind it would prove to be more than enough, as London grew in confidence while Wicklow struggled to make any inroads. Carlow did come out firing at the start of the second half, with Gearoid Murphy opening the scoring inside the first minute with a free, and Furlong following that up with a free of his own. London were being pinned back, but Mark Gottsche and McMahon combined to find Gavaghan, only for the London captain to be fouled. Gavaghan knocked over the resulting free and the visitors were never again able to apply a similar level of pressure or control. Wicklow were growing increasingly frustrated. Time and time again they were marched back for back-chat to referee Alan Kissane, with London and Gavaghan happy to accept any gifts on offer. 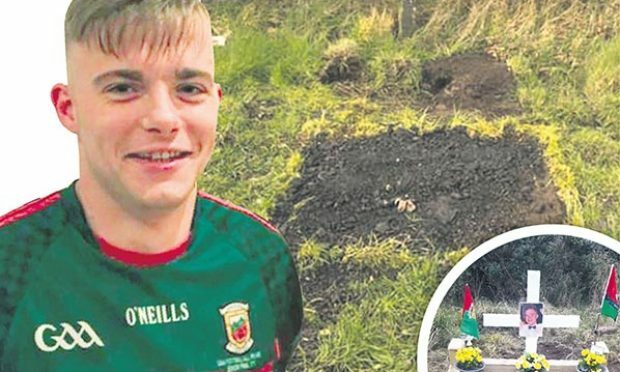 When Wicklow did get within range, too often their shots dropped into the grateful arms of London goalkeeper Gavin McEvoy, with the Exiles able to play their way out from deep with relative ease. 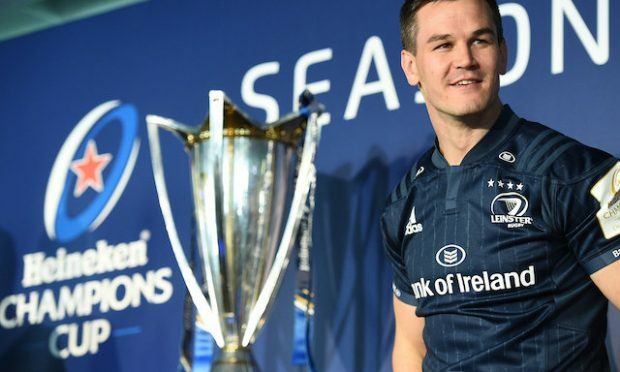 Fourteen minutes from time, London were effectively home and dry when Eamon Wolfe was shown a straight red card for a challenge on Ryan Jones, just three minutes after coming on. The Exiles saw the game out comfortably from there and if they can reproduce this level of performance against Limerick can have every confidence of ending that sequence of not having won more than one league win in a campaign since 2011. LONDON: Gavin McEvoy; Phillip Butler, Ryan Jones, Patrick Begley; Colin Dunne, Shane McManus, Adrian Moyles (0-1, 1f); Anthony McDermott, James Moran; Marcus Mangan, Liam Gavaghan 1-7 (4f), Tom Waters (0-1); Ryan Elliott (0-3), Mark Gottsche (0-1, 1f), Fearghal McMahon (0-3). Subs: David Carrabine for Dunne (44mins), Martin Carroll for McManus (55mins), Michael Walsh for Begley (57mins), Conor O’Neill for Jones (61mins), Conor Doran for McMahon (62mins), Eoin Murray for Moyles (64mins). 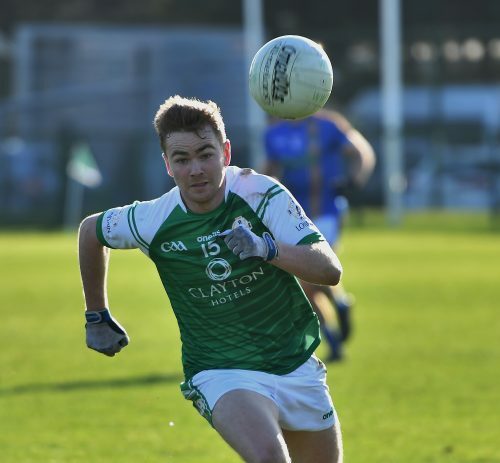 WICKLOW: Mark Jackson (0- 1f); Ciaran Hyland, Jamie Snell, Paul Merrigan; Pat Burke, Dean Healy, Ross O’Brien; Rory Finn (0-1), Kevin Murphy; Padraig O’Toole, James Stafford, Darren Hayden; Gearoid Murphy (0- 2f), Seanie Furlong (0-4f), Daniel Keane (0-1). Subs: David Boothman for O’Toole (29mins), Theo Smyth for Burke (29mins); Conor Byrne (0-1) for Keane (h-t); Saoirse Kearon for Murphy (47mins), Eamon Wolfe for Murphy (53mins); Eoin Murtagh for O’Brien (67mins).